The Ultimate Series by Crimson Stone, Inc. can be your solution for a better playing surface. The material allows for excellent percolation, virtually eliminating the need for drying materials. It’s very easily apply by Topdresser or by hand. 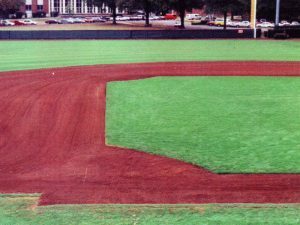 Crimson Stone is by far one of the most cost-cutting, laborsaving topdressing materials ever developed for baseball fields, softball fields, warning tracks and walkways. 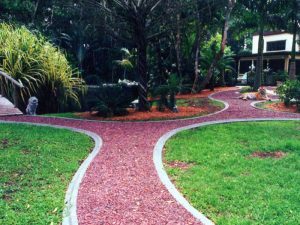 Crimson Stone, Inc. makes other landscaping materials obsolete! Never needs replacing. Minimizes weed growth. Maintains the beautiful natural color. Promotes maintenance free landscape. Prevents erosion. Insulate plants from the heat and cold. Easy removal of leaves and debris.